During his first appearance before the UN General Assembly President Trump said Kim was “on a suicide mission” and asserted that if North Korea continued its hostile acts, the US would “have no choice but to totally destroy” the country. He has labelled Kim as the ‘rocket man’. 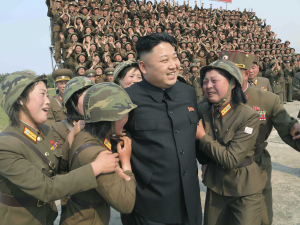 North Korean leader Kim Jong Un personally fired back at President Donald Trump, calling him a “mentally deranged US dotard.” Kim calls President Trump “a rogue and a gangster fond of playing with fire.” Kim’s foreign minister later said North Korea may test a hydrogen bomb in the Pacific Ocean to fulfill Kim’s vow to take the “highest-level” action against the United States. 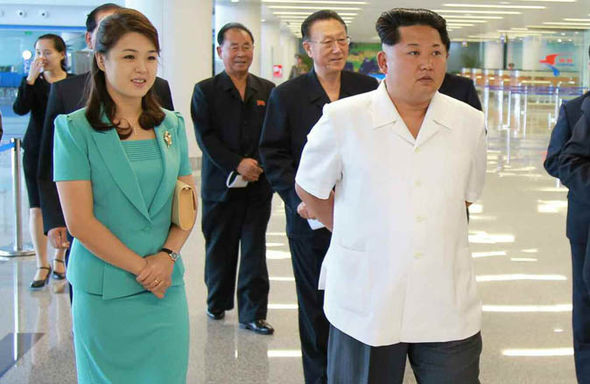 The North Korean situation has– so very quickly, deteriorated. Pyongyang has made it clear, it does not fear the United States. North Korea shows no signs of stopping or even slowing down its attempts to achieve an effective nuclear deterrent. And neither will it cease test-firing projectiles on a ballistic trajectory over Japan. The hard Truth is this: The United States will either have to accept North Korea as a nuclear power, or it will have to destroy North Korean nuclear facilities while it still can. No one knows at this point if America will eventually go to war with North Korea. South Korea: Given the choice between a major war to end the North’s nuclear program and accepting a North Korea armed with nuclear weapons, South Korea would choose the latter. South Korea is terrified of a war with the North, and will do almost anything to avoid that war. 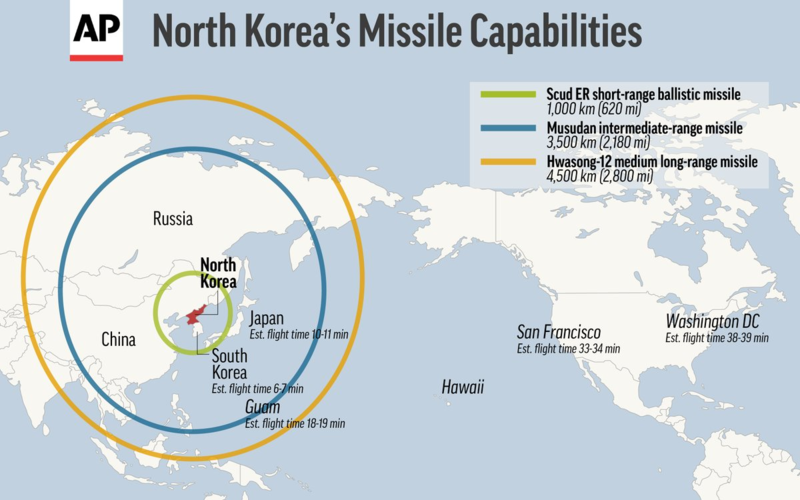 North Korea would respond to a U.S. attack by exacting enormous casualties on Seoul, South Korea’s capital and economic heart, using its artillery to attack of the city of Seoul (10 million population–The sprawling metropolitan area is much larger at 25.6 million people). Japan is very concerned about the escalation in tensions. Japan depends on the U.S. for protection, if America appears weak then Japan would quickly seek out offensive military means of its own. North Korea has never been a conventional military danger to Japan. But nuclear weapons change the assessment. Pyongyang now, for the first time, poses an existential threat, one that Japan, is very stressed over. The Japanese therefore have an interest in the destruction of North Korea’s nuclear capabilities. Whispers out of Washington infer that vulnerable Japan will secretly urge the United States to attack early while publicly counseling restraint. Russia: Russia is glad to see the crisis continue. Why? Because now America is focused on North Korea and not on Russia; or the fact that Russia is stepping up its involvement in Ukraine. A distracted America allows Russia to pursue its goals more vigorously. America: Rather than go to war, Washington may resolve to greatly increase its maritime strategy of dominating the Pacific and supporting, with the full force of American strength, the allies it needs in order to contain North Korea (such as Japan). South Korea’s abhorrence to go to war gives weight to this belief. 2.“Thanks to one of the largest standing armies on the planet—with over 1.2 million men under arms and another 7.7 million in reserve—and with chemical, biological, and nuclear weapons carried by over 1,000 missiles, Pyongyang has the capability to kill millions of people and start a conflict that could quickly escalate into the next global catastrophe” (Harry Kazianis, “After North Korea Attacks: An Ominous Asian Future Imagined,” The Week,March 31, 2017). 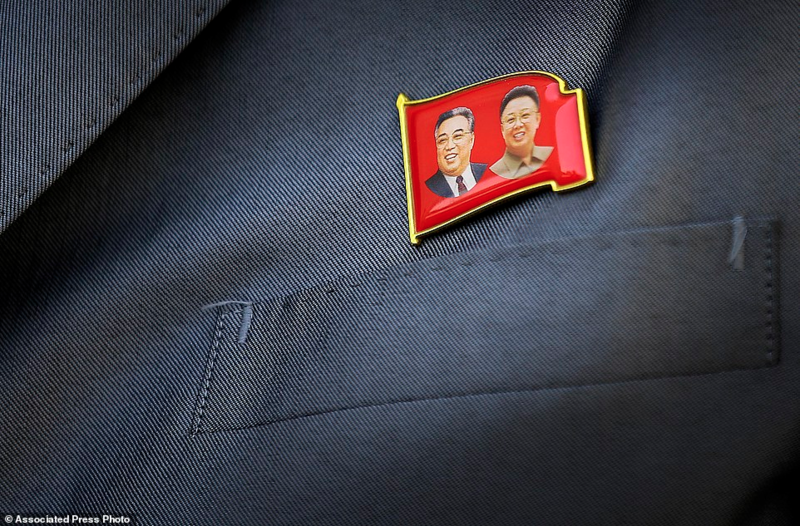 3.There are an estimated 50,000 North Korea laborers working overseas, according to the United Nations, the majority of them in China, and many off the books. 4.According to Chinese customs data, for example, North Korea imports 2.2 million barrels of petroleum products per year, but U.S. estimates put that figure closer to 4.5 million. And in any case, most experts think North Korea has enough stockpiles of fuel, earmarked for military use, to last awhile. The pin of Kim Il-sung (grandfather), and Kim Jong-un’s deceased father, Kim Jong-il, is to be worn by every citizen while in public (who is 16 years of age and older). Most children also wear the pin. Prophecy: We do not know if North Korea and America will go to war in 2018, no one knows. We are told in the book of Daniel, that God often removes and sets up leaders according to His purpose and insights: Daniel 2:21–God controls the course of world events; He removes kings and sets up other kings…thus we watch the Korean crisis with intense interest! Micaiah viewed God sitting on His throne and the spiritual host of heaven around Him. “Then a spirit came forward and stood before the LORD, and said, ‘I will persuade him [Ahab].’ The LORD said to him, ‘In what way?’ So he said, ‘I will go out and be a lying spirit in the mouth of all his prophets’” (verses 21-22). God was allowing Ahab to be persuaded by his advisors (influenced by a lying spirit) to engage in a battle that would lead to Ahab’s death. The lesson for us is that at times lying demonic spirits work through government advisors and Leaders [types of false prophets] to prevail upon tyrants to make rash decisions. With this background; I cannot help but to consider that demon spirits will be involved, provoking the leader of North Korea. Bible prophecies have long foretold the rise of an end-time Asiatic superpower capable of producing a huge army that will ultimately fight against a European beast power stationed in Jerusalem (Daniel 11:44; Revelation 9:13-17). 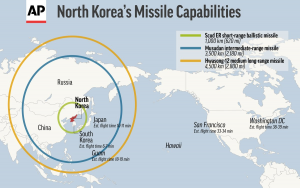 Most likely North Korea will be part of the 200 million man army that makes it way across the Euphrates river as it advances to Jerusalem (Revelation 9:16). That is yet to take place in the future, soon before Christ’s return.